The normalization of war and militarism is a sad fact of life, especially in the post 9/11 era. Expenditures on the U.S. military have swollen to grotesque levels in the U.S. On Veterans Day, a grand military parade is in the works celebrating the American Armed Forces and its might. 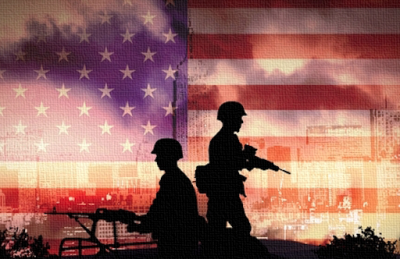 For much of the first two decades of the twenty-first century, fear of Islamic terror in the wake of the 9/11 attacks provided an adequate excuse for America’s diversion of resources towards permanent warfare. By presenting alternatives to pro-war narratives in public discourse, independent media, including sites like Global Research, have an important role to play in reversing the tide of war, and ushering in a course toward a humane and just peace. In this spirit, the Global Research News Hour radio program offers up two recently published books. 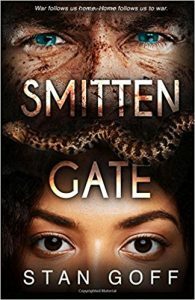 Smitten Gate is published by Club Orlov Press. The follow up interview is with English-Australian author George Grundy. Grundy’s book, Death of a Nation: 9/11 and the Rise of Fascism in America recalls the most devastating attack on U.S. soil in living memory. This 500 page volume not only presents one of the most comprehensive challenges yet to the official 9/11 narrative, it details the legislative changes in American society that led to a sequence of deadly military conflicts, domestic surveillance, and a general curtailment on civil liberties. Grundy notes the xenophobia, Islamophobia, and mendacity exemplified by the Trump Administration as the latest signposts on a two decade road trip toward a fascist America. 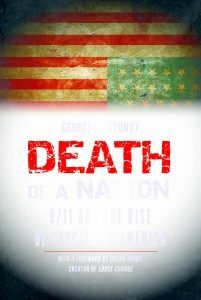 Death of a Nation is published by Skyhorse Publishing. Author interviews are conducted by special guest host Jonathan Wilson. Stan Goff is an American author and a member of Veterans for Peace. During the period from January 1970 to February 1996, he served as an active duty member of the U.S. Armed Forces, including infantry and special operations. George W. Grundy is an English-Australian author, media professional blogger and businessman. He has worked in television production and international broadcast rights at the London offices of IMG.